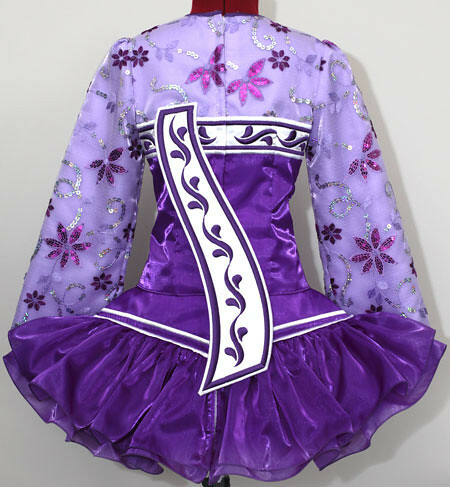 Dark purple twinkle satin bodice, with pretty white and purple floral embroidery design across bust line. Sleeves and top of bodice constructed from adorable mauve floral lace with silver holographic and purple sequin accents. 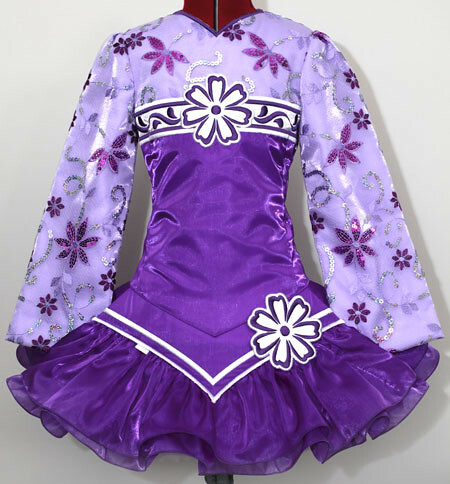 Modern style skater skirt constructed from matching dark purple twinkle satin. Gorgeous matching flower attached to left side of dropped waist point matches the embroidered flower in centre of bodice. Stiff asymmetrical white shawl featuring matching purple embroidery.